In part one of this series on the origin of state park names, we had park names with stories behind them. In part two, we found out why some names are scary or depressing. In part three, we looked behind names that were double entendres. In this edition, the names are so mundane and pedestrian that we can hardly believe they couldn’t come up with a better name. They fall into three categories: 1. there is an interesting story behind the name, 2. whoever named it took the simplest route that made any sense whatsoever, and 3. there is scant evidence that the state park even exists. Roman Nose State Park is listed on the Oklahoma state parks site. It was named after Chief Henry Roman Nose. The chief was a Cheyenne warrior who was arrested for raiding white settlements in 1875 and sent to Florida. When he returned to Oklahoma in 1881, he became a policeman for the Indian Agency and worked to make peace between the southern Cheyenne tribes and the white settlers. Roman Nose was made a chief in 1889 and served until his death in 1917. Image by Flickr user Josh Bozarth. 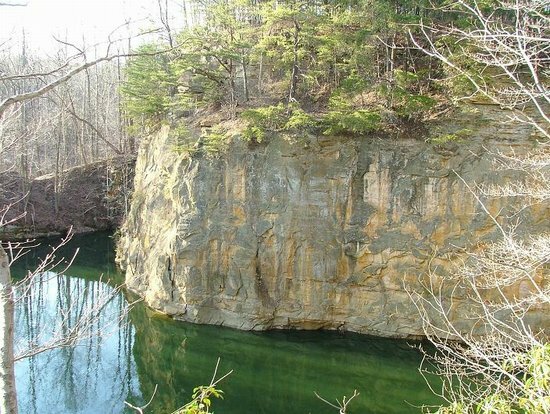 Black Hand Gorge State Nature Preserve in Ohio was named after a hand-shaped petroglyph carved into the cliff. The hand is no longer there, as the cliff face was dynamited in 1828 to construct the Ohio-Erie Canal. An old Native American legend says that no bloodshed was allowed in the area because all tribes needed to gather the flint found there for arrowheads. However, two warriors got into a fight over a girl there and one cut the other’s hand off before all three perished. The hand stayed behind on the cliff as a warning against spilling blood. Image by Wikipedia user ChristopherM. Gunpowder Falls State Park in Maryland got its name from Gunpowder Falls on Gunpowder River. As for the river’s name, even the Baltimore Public Library doesn’t know for sure, but thinks it is probably due to the saltpeter discovered along its banks. Saltpeter is an ingredient in gunpowder. Image by Flickr user Phil Romans. Purse State Park in Maryland doesn’t have the history of its name on the official website, but apparently it was named for a Dr. Purse, who bequeathed the land to the state. Yellow Barn State Forest in New York was named for Yellow Barn Road. No one seems to feel the need to explain Yellow Barn Road’s name, so it is assumed that at one time there was a yellow barn at the junction where the road begins. The state forest was carved from a collection of farms that became economically unsustainable during the Great Depression, starting in 1956. As the farms are now defunct, the barn is gone -if it even survived into the 20th century. Similarly, Potato Hill State Forest, also in New York, was once farmland. Early Irish immigrant tried potato farming in the area, but production peaked in 1845 and then declined steadily, possibly because of the soil erosion problem. The Civilian Conservation Corps planted 602,000 trees to combat erosion (and to create jobs) between 1939 and 1941. The park is a popular hiking area. 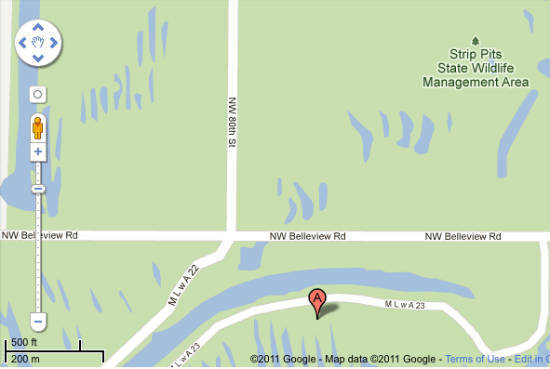 Bootleg State Wildlife Management Area in Minnesota exists on maps, but does not turn up on the Minnesota state parks lists, nor does it have an entry in Wikipedia. All of which leads one to wonder if this wildlife area was downloaded illegally. However, the map shows that Bootleg State Wildlife Management Area is near Boot Lake Scientific & Natural Area, so one name might be a corruption of the other, but that is only speculation. Similarly, New Hampshire has Toll Gate State Park, or at least I thought it did, since you can find accommodations, but the park itself is not listed at the New Hampshire State Parks site. I began to believe you have to pay someone to get the information. However, a look at Google Maps shows that when you search for Toll Gate State Park, a listing for Rollins State Park comes up instead, so maybe the name was changed. Another clue: the history of Rollins State Park includes the building of a toll road. 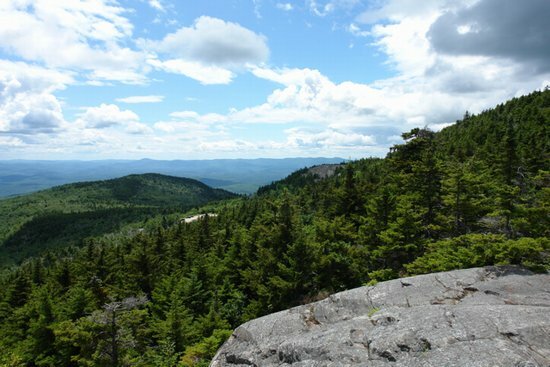 This park is named in honor of Governor Frank W. Rollins, who founded the Society for the Protection of New Hampshire Forests. Besides, it’s a much better name. Strip Pits State Wildlife Management Area is another of those parks that does not appear on the state parks website -in this instance, Kansas. 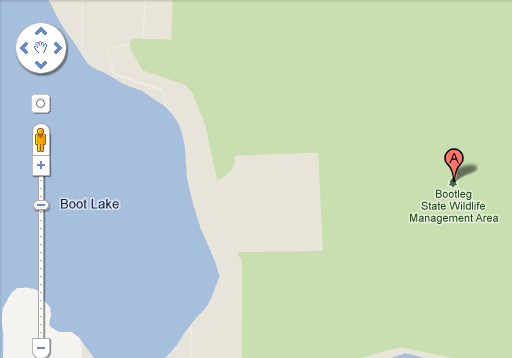 However, it does exist on Google Maps. With so little documentation, we can only assume that the area is actually named after strip mining pits that were (we hope) reclaimed. 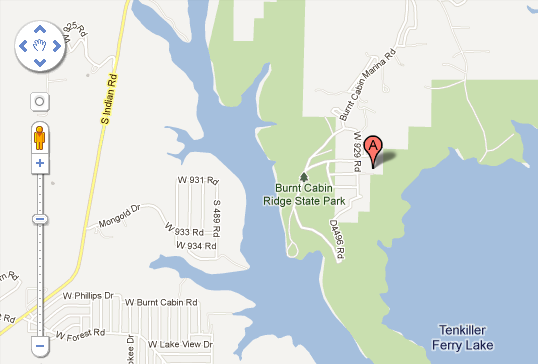 Burnt Cabin Ridge State Park does not appear on the Oklahoma state parks site. However, you can find advertising for amenities near it, and you can find it on Google Maps. And I was so hoping to find an interesting story behind this name! 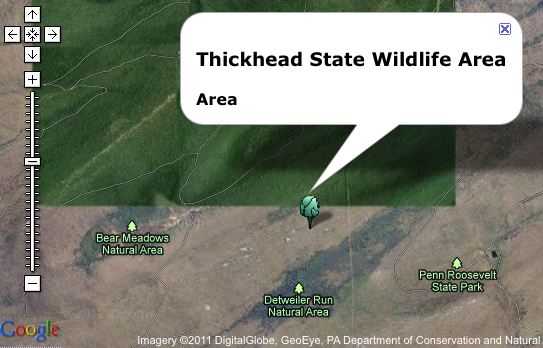 Thickhead State Wildlife Area in Pennsylvania is on the map, but is not listed at the Pennsylvania State Parks website. That area is known for birdwatching, so the wildlife area may be named after the group of birds known as thickheads. See also: Part One, Part Two, and Part Three of this series.